And there are 7 reasons why this should get you excited: Trakt.tv import – From the scale of Winnie the Pooh to Trainspotting, how strong is your addiction to good movies? If you are a great movie lover, you may have used Trakt.tv to keep track on most of what you have watched so far…. 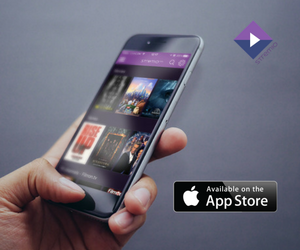 Why are the Stremio users already in love with the fact that they can watch movies on their smartphones? You wanted it, we wanted it, the media was asking for it… and here it is! Still in beta, our official Android app is ready to put your hands on it! Stremio has just been ranked among the 5 best media centers for Linux. This recognition comes from the popular tech site MakeUseOf and we couldn’t be prouder. We are always working on improving Stremio, and we are always listening to what our users have to say to make our service better. Read what some of our users have to say about our app. It’s about time to get all of your favorite video content in the palm of your hand and enjoy it even when you’re on the go. Long gone are the times when we had to get up and walk to the ginormous TV set to change the channels. Technology has evolved immensely in the last couple of decades, and so has the media produced, as well as the way we consume it. What to expect in 3.1, 3.2 and 3.3? Since 3.0 release is out, we’re working on all kinds of awesome new features for our next releases. Check it out! Be Excited Because Stremio 3.0 is Out! 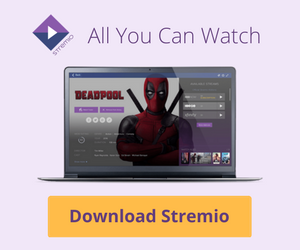 Folks, We released a new version of Stremio! Why so excited about is? We introduce a few new key features, a re-vamped UI and the Board tab. The Board notifies you for all new episodes of your favorite shows and channels! Stremio 2.0 came out a couple of weeks ago – it’s the most important release of Stremio so far, featuring a totally re-vamped core and a number of new features.